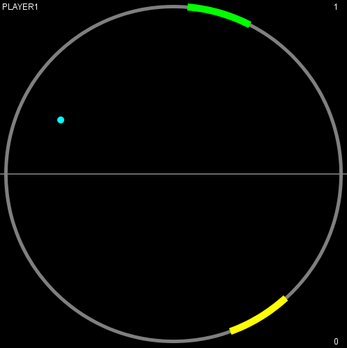 A simple pong game I made a little while ago, with a twist. Player one (top screen) uses left/right arrow keys. Player two (bottom) uses z/c keys. Just run the jar on your computer. I included source files in the archive if you want to take a look through my ugly code.